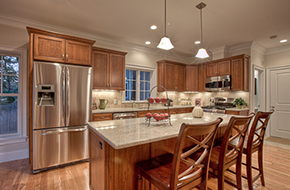 The team at New View Home Improvement delivers sensational transformations of kitchens and bathrooms! Free kitchen, bath, siding, roofing & window estimates; Without the hassle & high pressure sales! New View Home Improvement increases your property’s curb appeal and value through exterior remodeling! New View Home Improvement of Weymouth, MA has worked tirelessly over three decades to build a reputation for professionalism and quality within the community. We work diligently to ensure the 100% satisfaction of every client we work for. When you hire our team, you get knowledge, experience, commitment and quality! When you are looking for “Quality You Can Trust, At A Price You Can Afford,” look no further than New View Home Improvement! 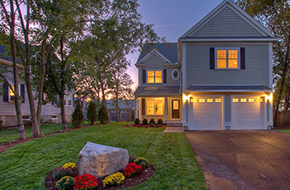 We are the premier general contractor in Weymouth, MA, providing all stages of construction. We even build homes from the ground up! We do not believe that anyone should live in a home that they are not completely happy with. Whether your family has grown or your tastes have changed, we want to transform your home into your personal sanctuary! We promise to work closely with you from our initial meeting to the completion of your project. 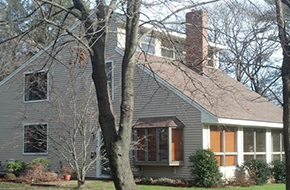 Whether you are looking for a roofing contractor or a remodeling contractor, we are the company for you. We are committed to excellence, and each project receives our complete focus. We are fully insured, and we hire the most reliable and professional sub-contractors on our projects. Each sub-contractor that we work with has been vetted thoroughly for your safety and ours! Grab your favorite drink, sit back, and browse through our website to learn more about New View Home Improvement and the services we have to offer. When you are ready to make your reality match your vision, reach out to New View Home Improvement!